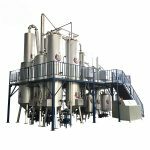 FS-MDP Continuous used engine motor oil recycling equipment – Waste oil purification equipment | used oil recycling machine for sale. 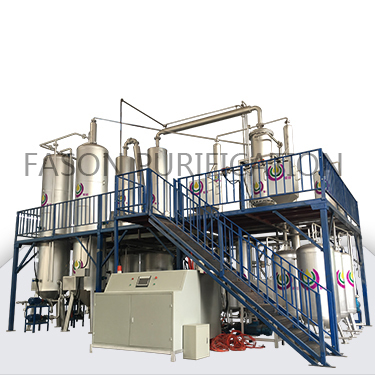 FASON FS-MDP waste lubricant oil distillation plant is a newly developed product which combines dozens of our latest technologies. It is able to rapidly extract light and heavy distillates from different fractions by given different temperatures control along with our own formulated catalyst compound. It can also remove the Metallic Compound, Base Nitrogen, Sulfur etc. from distilled oil during Re-refining process. 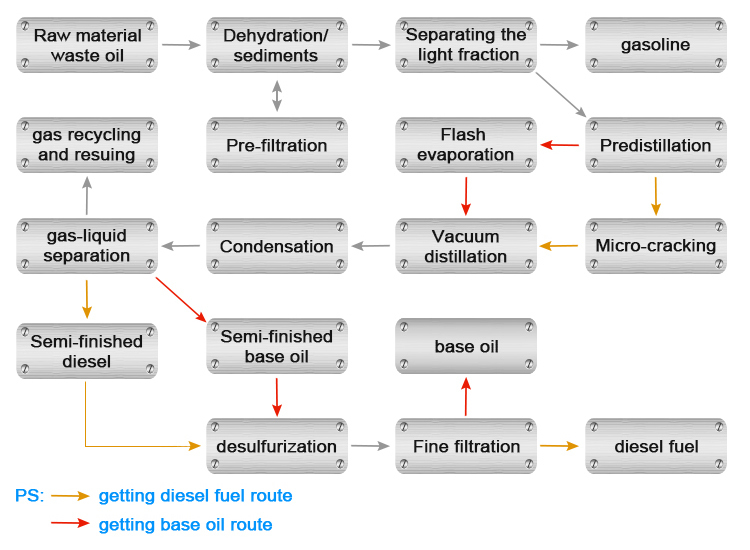 The end product after distillation could be adjusted into either new base oil or golden diesel fuel according to the customer demands. 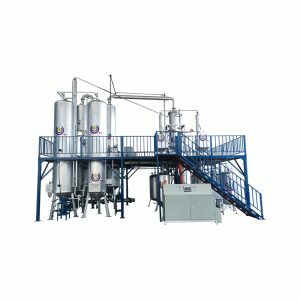 FS-MDP Waste Lubricating Oil Distillation Plant adopts our exclusive patent Full-Bridge Rectification & Electromagnetic Eddy Current Heating technologies, combines with our unique Macromolecular Bubbling decoloration and Membrane Crystallization Separation patents. 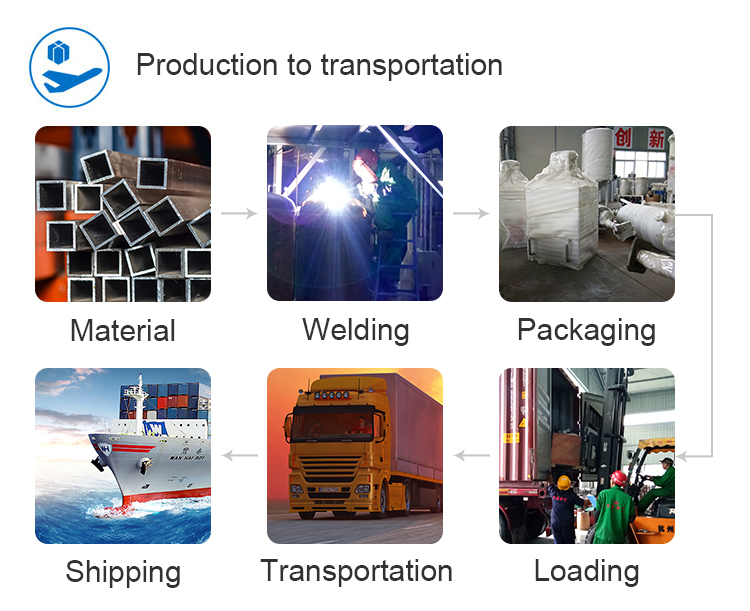 The entire plant applies the pure physical working principle, even heating and self-balancing flow, it has no damaging of oil substances. Where to collect those waste oil? Multi-stage filtration system and two distillation tower to guaranteeing the quality of final oil . 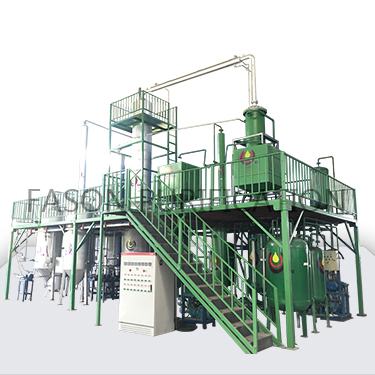 Unique desulfurization tower is designed for reducing the sulfur content. Convert used lube oil into base oil or diesel fuel. Automatical operation system with Siemens PLC and Schneider electric elements. 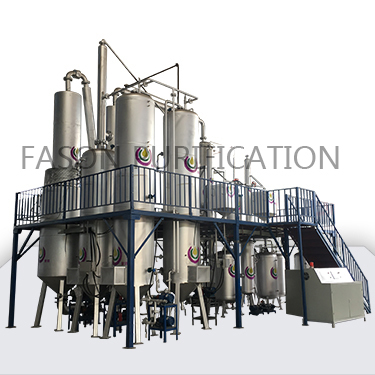 Assistance with the unique filtration system, can get the best quality of the final oil directly. Gas re-burn system the waste gas will be collected and filtered,then burned as fuel to heating the pre-heating tank. Installation the distillation tower catalyst tower, re-distillation tower and re-refining tower installed with insulating layer to keep the temperature. Automatical operation system with Siemens PLC and Schneider electric elements. Online-discharge and easy maintenance. 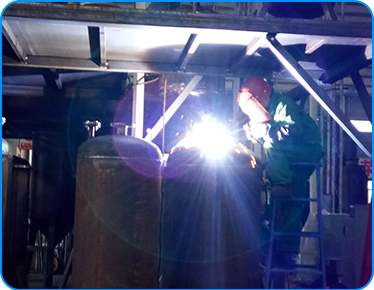 Distillation systems and gas burning tank with boiler steel. Excellent welding technology to avoid leaking. 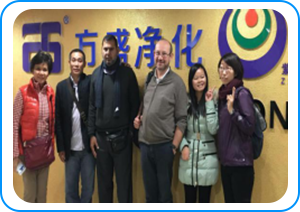 The customer from Australia visited our factory with his engineer. After watching the machine running . They confirmed the order and pay the deposit by cash. Now the machine running very well at buyer’s side, they get the high quality final oil. 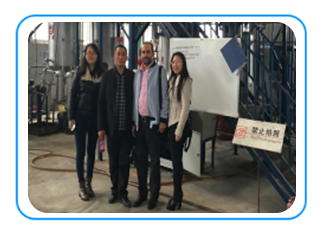 This is the Lebanon’s customer, he was visiting our factory and inspecting our MDP distillation plant. 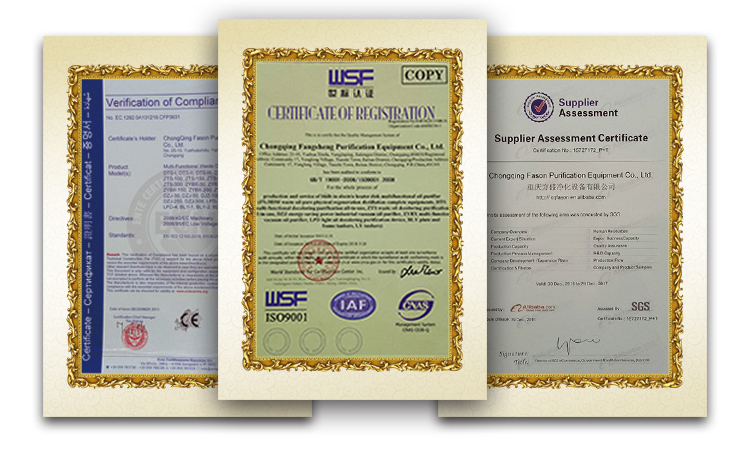 With his own inspection, it was proved our plant working stably well and meet his all requirements. 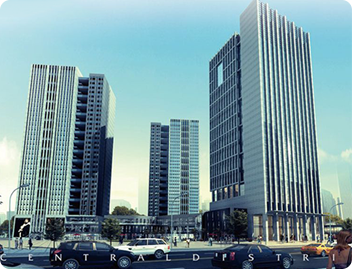 Our company have our own factory with more than 5000 square meters &office with 500 square meters area and more than 100 employees. 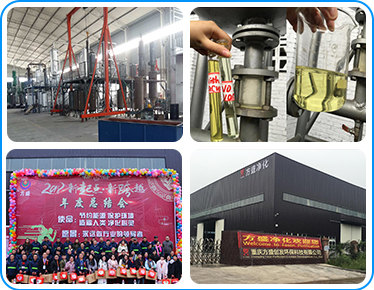 Up to now, we have obtained over 40 patents in oil recycling field, and gained the national high-tech innovation invention awards for multiple times. 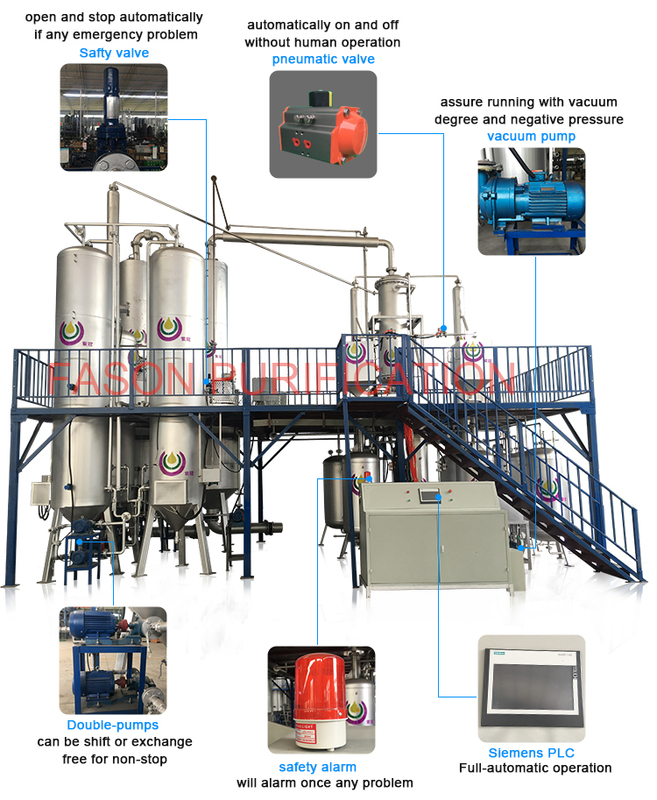 The entire plant applies the pure physical working principle, even heating and self-balancing flow, it has no damaging of oil substances. 3.Reminding for the service life of the wearing parts/Paid to provide. 4.Tracking service for products for two years warrranty. 5.Installation guide for customer from both china and abroad.